On the signing front continues with a look at the stuff that I was able to get signed from Lynchburg in their visit to Frederick. Lynchburg featured Pedro Alvarez in his first local appearance,but the night was not great for me with the Hillcats. Because I am an idiot,that's why. I had taken the stuff that I had for Lynchburg to work to do the prep work for the evening and like a jackass,left them there. That meant nothing of Lynchburg and that ticked me off tremendously. But the night was not a total loss as I always keep cards for the home team in the briefcase,so I worked on the Frederick side for the first time this season. I did not get a lot of players finished as I was the only person for the Keys. That can be a good thing as players usually don't mind signing for one person,but it hurts at times as well. When you are alone,you have no one to slow groups of players down and that means lower numbers,but Orioles top pick Brian Matusz signed all three cards that I had and was very nice as was third base prospect Brandon Waring. Waring was obtained from Cincinnati in the trade that sent Oriole backstop Ramon Hernandez packing to Ohio.Zach Britton signed his bowman card and talked a bit. Britton has always been very good about signing,although his sign ature leaves something to be desired as he just signs Z B and his number. Lynchburg was saved a bit by a collecting friend ( who never likes to have his name here) that loaned me a few Pedro Alvarez cards and a Razor Jordy Mercer to salvage the evening. Thanks to him,something was saved. Alvarez didn't sign before the game on this night (although I have been told that he has in the past) and signed some after the game,but only one per. Fortunately for me,this was sort of a mini party night as I had the ever present Battlin Bob,Ryan,Hank and another friend helping out,so at evenings end I had Alvarez on a Razor,a USA and a Carolina League baseball. I will be returning for the Hillcats visit on Tuesday since their team set is now out,so hopefully I can remember cards this time and add Alvarez on other cards. The Pirates were pasted 6-1 by the Astros and Brian Moehler as the fine tradition of crap pitchers dominating Pittsburgh continues. I'll be back to daily coverage of the Bucs when time permits and I still have to type the prospects stuff up to post,although I am starting to wonder if it is worth it! Back tomorrow with more signing news. I keep getting busy and the item that has seemed to take the fall has been the blog. Sorry about that and I will try to do better. I think that might be easier once I get past this week,but who really knows for sure. Lets start light and avoid the day to day stuff that I missed and concentrate on some different stuff. The Pirates sent blog favorite Eric Krebs to the Dodgers as the PTBNL for Delwyn Young to complete the deal made a while back. I had a feeling that either Krebs or Jared Hughes could be the player involved,although I had no reason to think that this was a possibility. Krebs was assigned to High A Inland Empire. Best wishes to the hard throwing righthander in his new organization. Speaking of Hughes,just as he seemed to be putting things together with a strong start at Altoona,he was placed on the DL with shoulder soreness. Jared was just 1-4 for the Altoona Curve,but his ERA was a sparkling 1.91. The Pirates also shipped Altoona infielder Anderson Machado to the White Sox for the PTBNL. The Cleveland Browns added a free agent that should help the team with the signing of veteran corner Roderick Hood from the Cardinals. Hood spent four years as the Eagles nickel corner before starting the last two in Arizona. Hood should start at one corner,although the Browns haven't announced which. The Cleveland Plain Dealer talked to legendary defensive mind Buddy Ryan about his twin sons-Rex (new Jets boss) and Rob,who will be running the Browns defense. Both sons talk about the defensive philosophies that they and Buddy used. Buddy continues to raise and race horses from his farm in Kentucky. Former Devil Peter Zezel passed away at the age of 44 from the rare blood disease hemolytic anemia. Zezel spent one year with the Devils,but was most known for his years in Philadelphia with the Flyers. Bobby Holik decided to call it quits at the age of 38. Holik struggled this year with his game and seemed to not be able to shake stupid penalties. Holik will be remembered by Devil fans both fondly (his years on the crash line and two cups winning seasons) and negatively (signing with the hated Rangers,who never used his abilities properly). The signing front traveled to Frederick for visits from the Winston-Salem Dash (ugh) and the Myrtle Beach Pelicans over the downtime and things were reasonably productive. Winston-Salem only produced two innings of baseball for me as we left during a long rain delay. The game was eventually finished,but we were long gone. The best pickup was outfielder Jordan Danks,who signed everything that we had and was very pleasant. Danks turned out to be a bigger pickup after the fact as he was promoted to AA Birmingham shortly after the Dash left town,so this was the first and only chance to add the Texas product to the collection. Third baseman Brent Morel was another notable addition from the less than prospect heavy squad from North Carolina. The visit from the Pelicans was far more anticipated as the Braves affiliate offered several top prospects,but Jason Heyward stood above all. Heyward is one of the top prospects in the game and I wanted to get his signature before the series ended as Myrtle Beach does not return to Frederick until late July,which should have Heyward entrenched in the AA Mississippi Brave lineup by then. Heyward has even more significance to me as he was my first round pick in my fantasy league in his first year,so I really hope he succeeds. Heyward doesn't sign before the game,so if you go to a game for him,expect to be there until the game ends,but once the game ends he signed for everyone and had no issues signing at all. I was able to get all the cards signed that I needed and even was able to have Jason sign on the "sweet spot" of a SAL baseball,which he was reported to not do very often. First baseman Freddie Freeman had a reputation of being erratic as far as signing,but I saw no indication of this as Freeman signed all five cards that I had for him and talked a bit as well. The final of the Myrtle Beach "Big Three" was outfielder Cody Johnson,who might have been the nicest of all. Johnson signed everything and thanked us for asking,that makes it pretty easy to root for Johnson's future as well. Other Brave prospects that we added on the evening were pitcher Jeff Locke,second baseman Michael Fisher and speedy outfielder C.J. Lee. Thanks to Ryan for helping with Winston-Salem and to the ever present Battlin Bob for helping with Myrtle Beach. Picked a large bunch of cards from the Eastern League from our good friend Jason Christensen. Jason helped me with a lot of cards from the Yankees and Red Sox AA squads that had built up from neither of those teams being in the area last season along with the Blue Jays,who never have teams here. Notable Yankee additions include Zach McAllister,George Kontos,Eduardo Nunez and Marcos Vechionacci. Red Sox pickups of note were Josh Reddick,Bryce Cox,Lars Anderson and Aaron Bates. The top Blue Jay notable was 2008 first rounder David Cooper,who is a Razor exclusive,but unlike Kyle Skipworth will sign his other cards ,but only if personalized. That doesn't bother me,so that works. Cooper is reported by Jason to be "a real piece of work". Thanks to Jason for all the help! We will be in Frederick on Tuesday for the anticipated visit from Pedro Alvarez and the Lynchburg Hillcats and starting next Friday,Hagerstown returns from the road with the only visit this year from the Hickory Crawdads (Texas) and the Kannapolis Intimidators (Chicago White Sox),so we have plenty to get finished over the next week! 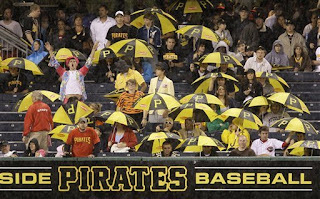 The Pittsburgh Pirates allowed their supposed strength in pre-season to let them down again as closer Matt Capps allowed three ninth inning runs (0-3) to waste seven shutout innings from Paul Maholm and a shaky but scoreless eighth from Tyler Yates and John Grabow in a 3-1 loss to the Colorado Rockies. Craig Monroe ripped a sixth inning single for the only Pirate RBI. 1) The Rockies could have tied the game in the eighth,but the third base umpire called Seth Smith out for leaving third base too soon on a flyball to Nyjer Morgan. The play looked pretty close to me,but that call usually isn't made in the majors-if the call is that tight. 2) Smith should never have placed the umpire in that position anyway. Hasn't anyone in the Rockie dugout or their advanced scouts seen Nyjer Morgan throw?? 3) The Pirate offense continues to be anemic,but the Pirates have to be pleased with the output that they have recieved from both Jason Jaramillo and Robinzon Diaz in the absence of Ryan Doumit. I wouldn't be surprised if either finds a new home when Doumit returns after their fine play. 4) I know that Matt Capps isn't exactly Mariano Rivera,but he seems to not only be pitching poorly,but he seems to have lost a bit off his fastball and looks similar to his outing last season before he went on the DL. Besides when you have a higher ERA than Tyler Yates,doesn't that tell you anything??? 5) The Buccos added another power arm in former Yankee Eric Hacker from the Yankee AAA affiliate in Scranton. Hacker had been designated for assignment by New York last week. No word on the cost of obtaining Hacker. Well,one thing that I planned on including in my Devils off season advice occurred before I could type it as Niclas Havelid signed to play in the Swedish pro league for next season. ESPN has an interesting article on new Xavier coach Chris Mack,who seems like a quietly excellent hire. Could Mack be the coach that finally sticks around to move the Muskies to the next level??? Former Oklahoma Sooner and NBA star Wayman Tisdale passed away this morning at the age of 44. Tisdale was one of the college games biggest stars in the mid 80's at Oklahoma and was a member of the most talented Olympic team ever (before the the introduction of pro players) winning the gold medal in 1984. Tisdale played for the Pacers,Kings and Suns and despite having some excellent season,was never the dominant force that he was for OU in his college days. Indiana tapped Tisdale with the second overall pick in the 1985 draft over such players as Karl Malone,Chris Mullin and Joe Dumars. The 6'9 power forward only averaged below double digits in points in his abbreviated last season in Phoenix and was a key role player for the Suns in their near misses in the 90's for the NBA crown. But for all the successes that Tisdale had in the pro game,it is his time as number 23 in the crimson and cream of Oklahoma that he is most remembered for on the hardwood. Tisdale averaged 25 points and 10 rebounds a game for the Sooners over his three year career in Norman and won the then Big Eight player of the year award in each of his three seasons. Tisdale was the first player in ANY sport to have his jersey retired at Oklahoma in a honor that he can never be surpassed in,but he allowed current player of the year Blake Griffin to wear the jersey during his college career in an effort to help the Sooner program add an elite player..
Tisdale finished his college career in two of the most exciting games that you can watch in the 1985 Midwest Regional with his game winning shot over Malone and Louisiana Tech that seemed to hit every part of the iron before falling in and a loss in the regional final to Keith Lee and Memphis State. Tisdale turned to music after his career,releasing eight jazz albums including "Way up",which hit number one in 2006. In Febuary 2007,Tisdale was discovered to have cancer that resulted in the amputation of his leg last year and he had several interviews where he claimed to have beaten the disease. Colby Rasmus crushed a Jeff Karstens pitch in the second inning for a two run homer and the Cardinals had all the runs that they needed in a 5-1 win. Back with more tomorrow that was planned for today,but the passing of Wayman Tisdale pushed things back a bit. The signing front has been hot and heavy lately with teams visiting in Hagerstown and Frederick,along with trading for players from the Eastern League as well. Since I am going to work soon,this post will deal with the SAL and tomorrow I will work on the Carolina League and the trade arrivals. The Lake County Captains were the first team of this group to hit Hagerstown and I really didn't have too much for them and their only real top notch prospect-pitcher T.J. House started the night that I was there and I missed him. The only other catches of note from the Captains were lanky first baseman Chris Nash and third sacker Jeremie Tice. The Greensboro Grasshoppers were next in town and usually the Hoppers are loaded with talent,but this years team was a bit down. The Marlins top pick Kyle Skipworth was with Greensboro and would only sign his Razor and 1st USA card as Skipworth sited his Razor exclusivity for being unable to sign other cards. This does not bode well for our visit to Frederick for Lynchburg next week with Pedro Alvarez as he has exclusive on his Razor card similar to Skipworth. Skipworth was nice about it and that is all I ask. Other prospects of note from Greensboro's only visit of the year were pitcher Brad Hand and second baseman Paul Gran. The final team to hit town was the West Virginia Power and any visit to the area from a Pirate affiliate is a big deal to Battlin Bob and myself,even if the Power were in dead last in the SAL Northern Division. Quincy Latimore may not be a hot prospect,but he signed everything that you wanted and asked you what you had for him and has a sense of humor as well. Latimore hit his first homer of the season in Game one of a doubleheader,but dropped a flyball that made the difference in the loss and when I congratulated him on the homer,he responded "Thanks,now if I can catch a flyball,I'll be OK". Robbie Grossman signed a ball and several cards and as a player looks to be a keeper if his power develops as he matures. Chase D'Arnaud signed everything and joked about his brother Lakewood catcher Travis as well.When I asked why he has a prospect plus card and Travis didn't,Chase responded "That's because I am a prospect and he isn't"! The final prospect in Jeremy Farrell signed all and was nice as well. The best story of the season was when D'Arnaud was holding court and pitching coach Jeff Johnson was signing. Johnson overheard Chase and said "prospect plus huh? the great Chase D'Arnaud wearing a State College Spike hat,let me know when you get one wearing a Pittsburgh Pirate hat!" More on the signing front tomorrow from the Carolina League and trading stuff. For this post,we will mention a few things that have accumulated in the home offices inbox,where various articles have built up over my absence. The Pirates lost eight games in a row,but have rebounded for two home wins over the visiting Cardinals. The series ends tonight at PNC before a three game weekend visit from the Colorado Rockies. Hockey's Future has a look back at this past seasons results for the prospects in the Devils farm system and how each of them fared,along some thoughts on their future projection. 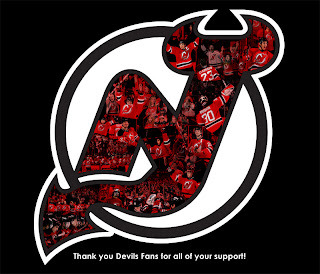 From the looks of things and their thoughts,the Devils are not as barren as one might hav e thought before the season began and that is nothing,but good news. We will have our annual season in review/off season to do list post around draft time,which is around a month or so for the Devils. In Lou we Trust featured two thought provoking posts about the Devils dipping into the free agency pool and being able to keep the players on the team that are free agents as well. 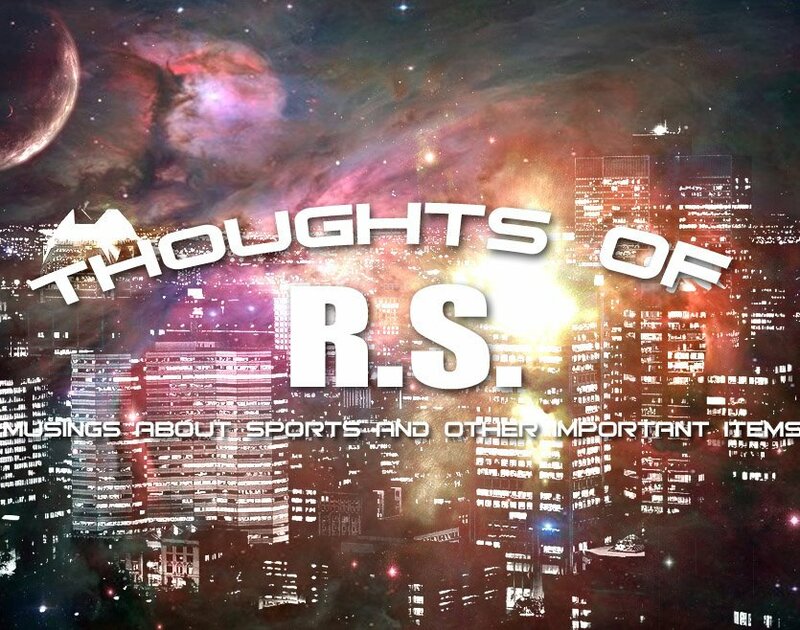 We will cover our thoughts on these issues in the above mentioned future post.. This link discusses the differences in organizational philosophy on pitch counts between Tampa and Texas. The Rays use a strict pitch count and have chosen to lay off pitchers totally at times in an effort to conserve arms,while the Rangers under new team president Nolan Ryan are disdaining pitch counts using the argument that the arm is a muscle that needs to be built up and not babied. I tend to lean slightly towards the Texas argument as long as you use that program at all levels. It does no good at all to gently use a prospects arm for years in the minors and then heap large amounts of use onto the player upon his arrival to the majors. Wilbur Miller disagrees somewhat and we will be having a future debate on both sides of this issue in a future post here. Speaking of Wilbur,I had the best time all season at a Hagerstown game in the West Virginia series as I was surrounded by solid baseball men in Wilbur,our friend Wooden,Ryan,our up and coming young mind Hank and of course the ever present Battlin Bob. 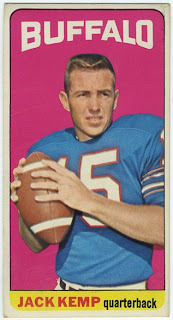 Sorry to hear of the passing of Jack Kemp from cancer at the age of 73. Kemp's eclectic resume' includes GOP Vice Presidential nominee,Presidential candidate,Congressman,think tank operator,labor leader and AFL championship winning quarterback for the Buffalo Bills in 1964 and 1965. This article deals with the loss of the Pontiac brand after General Motors announced plans to discontinue the brand. Pontiac joins Oldsmobile among others on the GM scrap heap. I am neither a car expert or aficionado,but it seems like much of GM's problem through the years with their various brands with icon status has been this-you cannot make basically the same car and just slap a Pontiac,Olds,Buick etc tag on different cars and have nothing else to distinguish it from others. Sad to see these classic names on the death pile. Back tomorrow or possibly later with more thoughts as the relentless pounding of the clock continues. After a almost two week break due to various reasons,I am beginning to get this vehicle back on track. 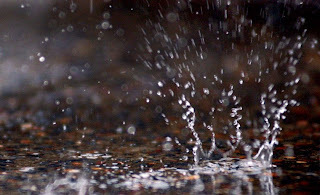 Look for multiple posts over the next few days to attempt to bail the water off the deck a bit. Thanks to some of the readers that asked about where we had been and to the two of you that wondered if I was OK and if anything was wrong. I am fine,just busy with work,some family issues (not involving me for the most part) and covering the Suns and Keys during that time. I am going to use this post to catch up on some personal things and then will return in another post later with thoughts on what you mainly want to read about. Life is good at the home office despite a reduction in the paycheck with the minor loss of hours. Now having three days off instead of two makes me feel more like a normal human being. The money loss will hit at times,no doubt about it,but I feel so much better, more energetic and rested after just one week of my new schedule. One of the things that I actually feel like doing now is taking Dayton or "Big Ed" as I affectionately call him for walks. Rachel has been taking pictures of Ed and of course the irrepressible Teddy and I will try to get some of them up for future viewing here soon. I am more and more seriously looking at a laptop purchase to travel with me to work. 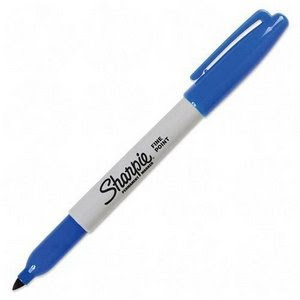 I still haven't forgotten the Pirates top prospects post that has been promised for so long and actually it has been finished on paper for quite a while,it just has been handicapped by the aforementioned lack of time. Lots of cards to talk about for an On the Signing Front and for the first time ever,OtSF might have a post all to itself. I would also like to thank the few people close enough to know over the last weeks to ask about my dad. As part of the various issues that occurred in my extended family over the last two weeks,my father was attacked in a cowardly three on one ambush and was left with various injuries to his arm from a bite (literally,a chomp from a human mouth) from a gutless wonder that is half his age. Dad is doing fine and never missed a day of work,which shows the toughness of the man. In closing,we will follow with tradition when we return from various hiatuses. Back later with another post on whatever strikes me from the inbox! 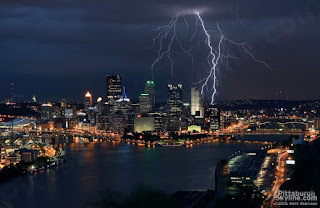 A weak offensive night and some poor work from what the Pirates attempt to pass off as setup men resulted in a 4-0 loss to the Cincinnati Reds through some heavy rains at PNC Park. Zach Duke was yet another hard luck losing pitcher for the Bucs (3 -2) in allowing just one run over seven innings. 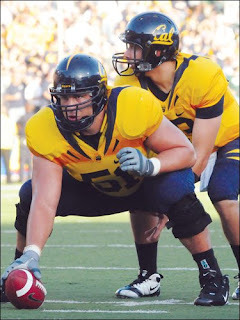 1) Anyone think that it might be time to move Tyler Yates from the righthanded setup role? Yates allowed two more runs (although they turned out to be unearned,due to an error) and walked two in just two-thirds of an inning. 2) Zach Duke did what you have to do to be successful when you are not a power pitcher-he changed speeds and kept the Reds batters off balance. Duke didn't deserve the loss,but Bronson Arroyo was a hair better for the Reds. 3) Yates received unearned runs because of a throwing error on Jason Jaramillo in the eighth on a sacrifice bunt attempt by the Reds Wily Taveras. I had no complaints with the call of an error,but I would have given it to the covering Freddy Sanchez,who appeared to have the ball skip off the side of the glove. 4) John Grabow entered the game in the eighth and allowed a homer to the slumping Brandon Phillips on his first pitch. 5) Nate McLouth returned to the lineup after a hiatus due to a oblique muscle issue. McLouth went one for four in the game. I do like the Pirates black alternate uniforms that they wore in the loss. Looks retro,yet is a cool alternative to the regular togs. Big fight in Las Vegas tonight at 140 lbs with Ricky Hatton hooking u p with Manny Pacquiao. The smaller,more skilled Pacquiao against the stronger and natural 140 pounder Hatton looks to be a good one. 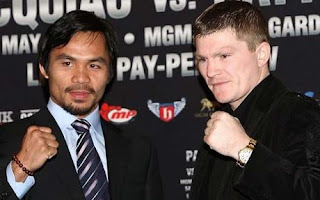 I can see Hatton wearing down Pacquiao,but I see the faster and better boxing Pacquiao winning by a decision. Floyd Mayweather is ending his retirement for a bout against one of our favorites in Lightweight champion Juan Manuel Marquez. The bout is scheduled for sometime in July. I don't follow the racing game like I used to,but in the interest of fun,I spent a little time today looking over the past performances on the Kentucky Derby and IF I was wagering today,two horses intrigue me at a price. I would play An Exacta Box on the combo of General Quarters and Papa Clem and spread a little money on each of them on the WPS as well. Both appear to be a good price on the morning line and I would feel comfortable betting some on each of the pair. The Cleveland Browns entered the the 2009 draft with a chance to add an elite caliber player,but traded down three times in the first round and wound up at 21. I had no problems with the Browns trading down,my issues were that they seemed to get so little for doing so. Cleveland gained a second round pick and three more Jets retreads for dropping from 5 to 19,while picking 2 sixth rounders for dropping from 17 to 19 with Tampa and then 19 to 21 with Philadelphia. The deal with the Jets will add one starter for sure in safety Abram Elam,who the Browns attempted to bring in via free agency,but the Jets matched the Cleveland offer sheet and defensive end Kenyon Coleman will be a well used part of the defensive end rotation,if not a starter. Quarterback Brett Ratliff will be either battling for the third passer spot with free agent signee Graham Harrell or could move up to second if a Brady Quinn or Derek Anderson deal occurs. I just don't see enough return for the spots that were dropped. I understand the bringing your own people in theory,but to drop that far for players that likely will not be Browns in the next two or three years? Mack was regarded as the top center in a draft that had three solid prospects at the position. The 6'4 311 pound bulldozer will remind no one of the last Browns center taken in the first round in the undersized Jeff Faine as Mack is a hard driving physical force in the middle.Mack has a background in amateur wrestling and I always think the lineman that have that in their background do well as the balance and power that it takes to succeed in that sport correlates well to the interior line. Mack should push out the smaller veteran Hank Fraley by seasons end,if not by opening day. Cleveland now has three solid building blocks (Joe Thomas and Eric Steinbach) along the offensive line as the Browns make the long awaiting transition to power football. I have seen Robiskie play as much as any player in this draft,so I feel pretty confident in my scouting of him. The only thing lacking in Robiskie's game is the lack of true top notch speed as Robiskie isn't going to run by corners on fly patterns other than he has no true weaknesses. Brian runs crisp routes,has excellent hands and is not slow by any means,just not a true burner. Robiskie will have an excellent chance of starting and at worst,will be the third wideout. A big,physical receiver that has the tools for success,Massaquoi struggled throughout his career at Georgia with dropping passes. The problem went away somewhat during his senior season,but the red flag there is that it took him three years to deal with the issue. Three years to solve a problem in the NFL often leads to unemployment. Massaquoi could prove to be a starter,although not in year one. Robiskie could have been there with this pick and LB Rey Maualuga been added with the pick that was used for Robiskie. Veikune was taken with the pick added from the Jets and this seems a bit questionable. Veikune is another tweener that is too small for DE and must be fast enough to get a pass rush from outside linebacker to be successful in the league. Veikune is reportedly a high motor player and is a hustler at all times and the Browns could use more types such as that. Veikune will have to make the transition on the move,as he spent his college career at defensive end. This seems like a reach,but the Browns lacked a third round pick,so if they really wanted him the Browns had to pull the trigger here. Many Browns fans badly wanted Rey Maualuga or Clay Matthews III as linebackers from USC,but settled for the top backup from the Trojans in Maiava. Maiava seems undersized,but the league is filled with players at inside linebacker that were productive collegians and downgraded in the draft for size reasons that became solid pros. Maiava should play either of the inside linebacker spots and at minimum be a fan favorite on special teams. The Browns need secondary depth and Carey has the physical numbers to eventually help the Browns. Carey is your typical small school pick at this stage in the draft-has the workout numbers,but the less than top competition creates questions. 6th Round:Coye Francies CB San Jose State. Francies might turn out to be Cleveland's steal of the draft.A tall,lean cover corner that tackles well,Francies likely dropped as he played just one season of football at the Division I level. I really like this pick and perhaps Francies could be the third corner by as soon as the halfway point of the season. Davis was a solid prospect after an excellent junior year,but slipped in his senior year among the uproar at Clemson,which included a mid season coaching change. Davis has speed to burn and doesn't run from contact either.